Research is contributing to an increasingly long, dirty laundry list of chlorine’s harsh side effects. Could leisurely dips in your swimming pool be harmful, or even toxic? In a classic case of “what you don’t know might actually hurt you,” we break down the following 5 Reasons to Convert your Chlorine Pool to a Healthier Alternative. One new study shows that swimmers experienced breathing problems “similar to those associated with asthma after several minutes of swimming even in water with chlorine levels below the recommended level for disinfecting private pools,” according to WebMd. Concerning? You bet. The study—conducted by researchers in Indianapolis—compared the effects of exercise in different settings on breathing function. 20 swimmers with no history of exercise-induced asthma were assigned to four exercise tests of the same intensity and duration. These included swimming in pools with no chlorine, swimming in pools with low and high levels of chlorine, and exercising next to each of the pools. Results are concerning; they show that 60% of the participants suffered from airway construction after swimming in a highly chlorinated pool, with only 20% suffering after swimming in one with low or no chlorine. So what makes chlorine so damaging for your lungs? 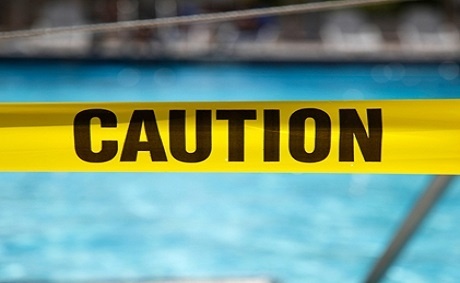 When chlorine mixes with other elements such as sweat, feces, urine, makeup, and other not-so-nice matter that can wind up in your pool, it can actually release levels of chloroform gas. Yikes! Negative side effects from long-term exposure to/inhalation of chloroform gas can include impact on the central nervous system, lead to jaundice, and even contribute to the development of carcinogens, which may result in kidney and liver tumors. 2. See clearly—and with greater comfort. Ever wonder why swimming goggles became so popular? Pop off a pair during your next set of laps, and you will likely feel the sting of chlorine in your eyes. While most regular swimmers know to protect their eyes with goggles in chlorinated pools, few know why. Here’s the low-down on “pool eyes”: The blurry vision and irritation you feel actually stems from the way chlorine affects the protective film in your eyes, which is made up of oil, water, protein, and mucous. The chlorine strips away this protective layer that normally keeps out foreign bacteria and lubricates your eyes. As a result, the delicate surface is exposed to irritation and even infection from bacteria, chemicals, and dryness. 3. Lower your risk of a killer disease. If you knew that cancer risk can climb 500% by exposing your body and respiratory system to highly chlorinated water, would you reconsider your afternoon swim session? You might. In the first of three new studies published in the Environmental Health Perspectives Journal, researchers evaluated 49 healthy adults who swam for 40 minutes in an outdoor, chlorinated pool. After examining each swimmer’s blood and urine samples for biomarkers linked to cancer, they found that exposure to chlorinated pool water was associated with a five-fold increase in one specific cancer biomarker. This potential danger has fueled the fire for more research on the long-term effects of chlorine exposure. The residual effect of chlorine in pool water is a hot button in today’s age of “green awareness.” The chemical is a soluble substance, but it can also evaporate from the water’s surface into the air. When combined with other chemicals, chlorine forms “secondary compounds,” instead of remaining in its pure state. Those compounds can cause serious problems. According to the Environmental Protection Agency (EPA), chlorine can combine with other elements to create byproducts that pollute water and contaminate fish—and transfer to people and animals that eat the fish or drink the water. In humans, chlorine gas exposure can irritate lungs, suppress the immune system, and cause respiratory disorders. If chlorine makes its way into streams and rivers, it can also damage or even destroy plant life. While your pool can be a great play area for those of all ages, recent research suggests that young children and infants who swim in chlorinated pools are exposed to increased risk of certain health problems. Those who are active in and around heavily chlorinated pools may experience a rise in asthma-like symptoms and lower respiratory tract infections. Some researchers theorize that infants are at particular risk due to spending higher amounts of time in small, heavily chlorinated pools and swallowing irritant-heavy water while doing so. The takeaway? The jury is suspicious, but still out on a potential risk for your children. We may not know the true long-term effects of chlorine on children and infants for some time. We’ve given you the bad news first, so what’s the good news? Chlorine is not your only option for sanitizing your pool! 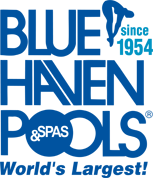 Saltwater pools and pools treated with ozone and ultraviolet light systems are safe, healthy, cost-efficient and environmentally-friendly alternatives to chlorinated swimming pools. Learn more about these options in next week’s blog.